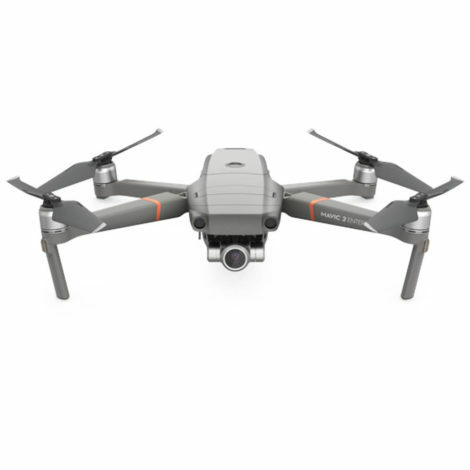 PricewaterhouseCoopers (PWC) recently released a drone market update looking at the impact drones will have on the UK economy by the year 2030. Drones are rapidly becoming an increasingly familiar aspect of life in the UK today. They are beginning to play a key role in a number of industries ranging from the emergency services to the construction industry. This, however, is merely the start of the drone revolution. This is the first of a 3 part series of blogs looking at the recently released PWC UK drone market update. 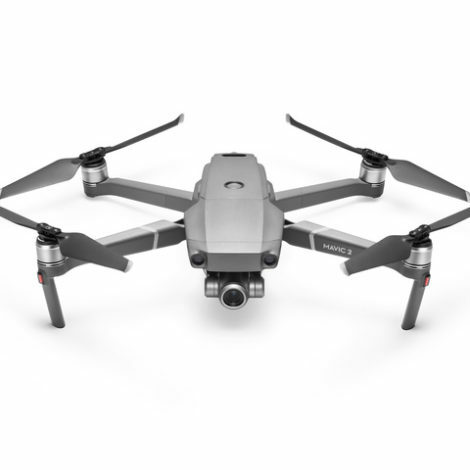 Today’s blog will be focusing on the economic Impact, as well as the growth of the drone market. Organisations are under intense pressure to ensure that they keep up with the times. Innovation, efficiency and ambition are three factors companies are measured against, something which drones enhance. 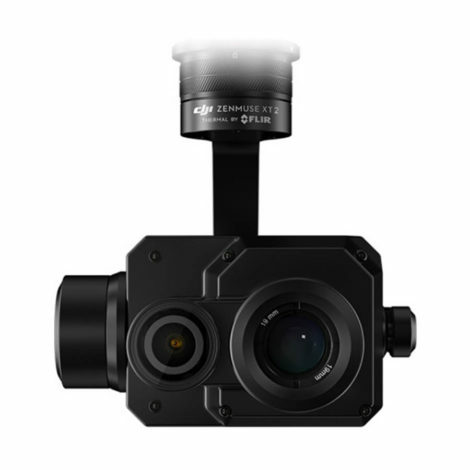 Drones offer a unique view of the world below and allow you to gather data more efficiently than ever before. 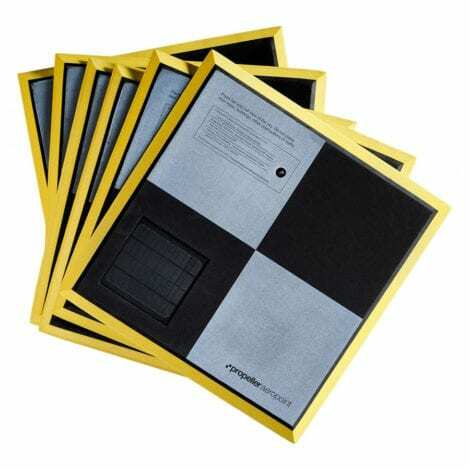 They allow you to access hard to reach places and can create crucial records in next-to-no time. PWC’s report outlines the financial, employment, productivity and quality of life impact that drones will have on the UK economy. 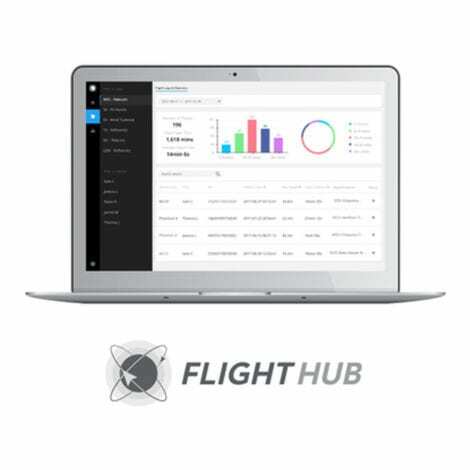 It provides examples of current and future commercial drone applications. 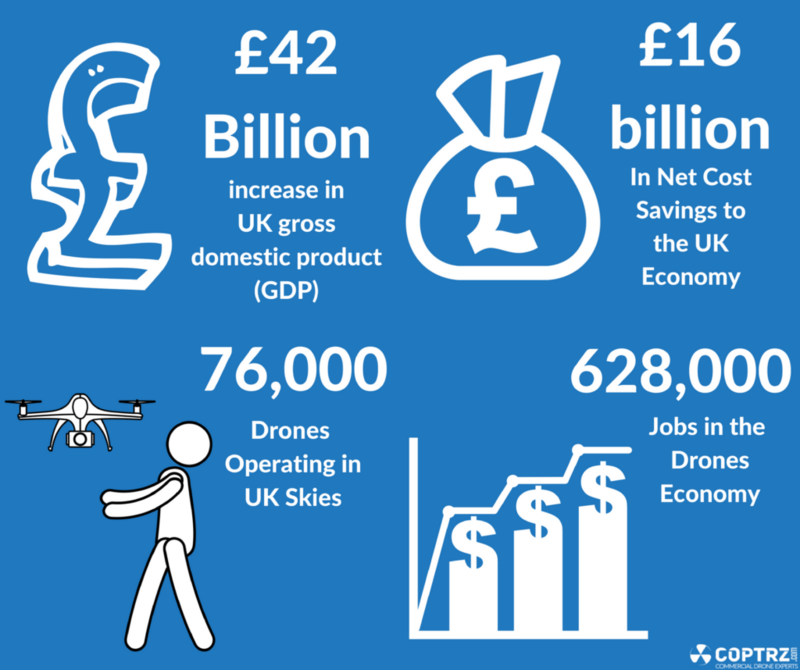 This infographic shows the true, positive impact drones can have on the UK economy by the year 2030. It is anticipated there will be more than 72,000 drones in the sky by the end of the next decade. Areas such as wholesale, retail, education, defence and health are expected to benefit. Of the 76,000 drones that are projected to take to the skies by 2030, over a third will be used by the public sector (defence, health and education), therefore contributing to creating a safer United Kingdom. The levels of cost savings will vary depending on the industry. The UK’s technology, media and telecoms sector is expected to reap the biggest cost reductions. Collectively they are expected to save around £4.8bn by 2030. There are also expected to be major savings in the financial services, transport & logistics and government services. Across the board, these savings will have a tremendously positive impact on the UK economy. This will address one of its biggest faults, productivity. 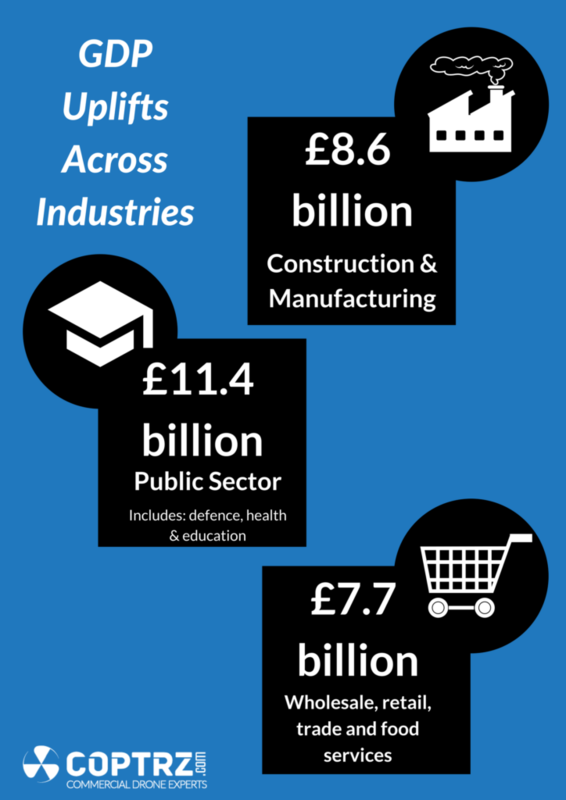 Drone usages will provide a 3.2% increase in multi-factor productivity across the UK economy. This will provide cost reductions and will improve efficiency. 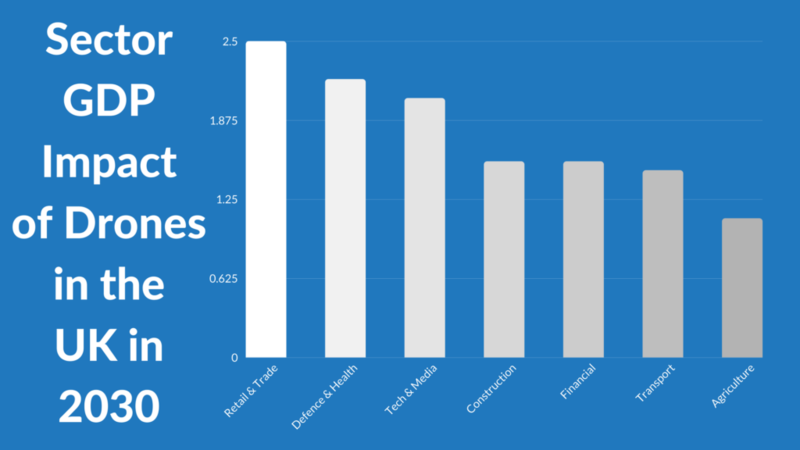 This infographic shows some of the expected uplifts to different industries. The impact on jobs will be similarly substantial due to the combination of both drones and automation. Over time, thanks to the gains from cost saving, more and more jobs will naturally be created. So those that are willing to retrain will see huge opportunities in the future. A lot of businesses have already started to invest in drone software. In-house pilots are becoming commonplace, particularly in the emergency services. We feel that, with in-house pilots becoming a recognised job, this will boost the UK job market further, as well as the drone industry itself. Here at COPTRZ, we have found that an increase in technologies such as Flyability’s Elios has seen massive increases in productivity in industries such as inspection. This has allowed inspection companies to begin reaching hard to reach places, and thus in-house pilots have been hired to pilot the drone. What is the Elios? The Flyability Elios is the first collision tolerant drone designed specifically for inspection and exploration of inaccessible or potentially hazardous places. Find out more here. These positive impacts on the UK economy will see a boom in the number of drones to take to the UK airspace. Of the 76,000 drones expected to be in the UK skies by 2030, over a third (36% to be precise) will be used by the public sector. Drones look set to have a massive impact on the UK economy. Companies that embrace the revolution are likely to transform their business performance in return. PWC projects a 1.89% increase of GDP (gross domestic product). PWC’s analysis indicates there will be an additional 1.89% GDP growth from drones. They conducted their analysis based on three phases. Estimating the net cost savings from drones in the UK. They drew from previous PWC reports and external data as well as using expert analysis to estimate the net cost saving per UK sector. Estimating the productivity increases in the UK. They merged their estimate of the net cost savings with data on the total cost of capital and employment per UK sector to calculate the increase in productivity by sector. Projecting the total economic impact of drones. They input their multi-factor productivity figures into their Computer General Equilibrium (CGE). This allowed them to work out the aggregate effects of drones uptake on UK GDP up to 2030. 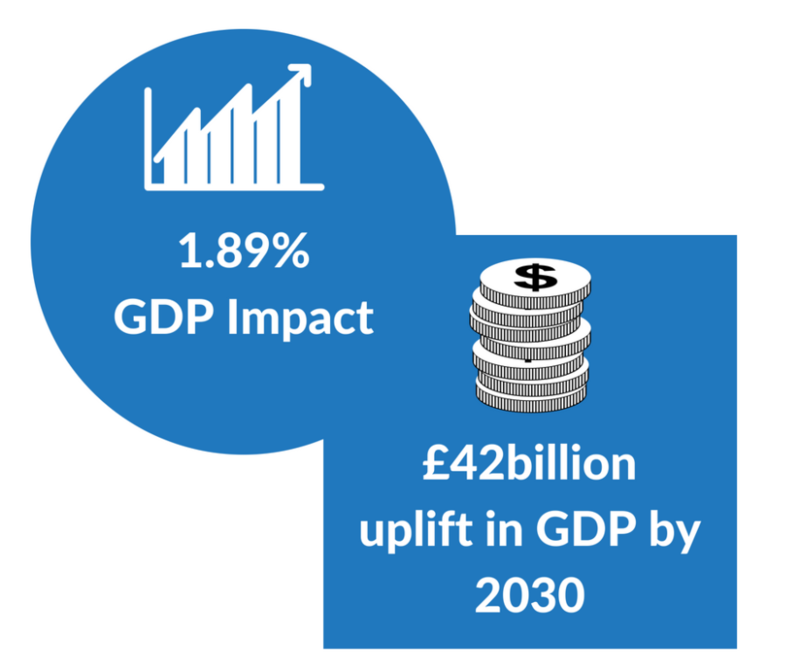 As you can see, drones could have a huge impact on the UK economy by 2030. Companies that join the revolution now will clearly see the benefits to their economy, whether that be through cost savings or an increase in capability to offer jobs across their business. Certain sectors are going to benefit more than others, but generally there will be a good spread across the board. We believe that drones can be the future, and more and more in the news now we are seeing positive drone stories spreading the front pages. It’s only a matter of time before the world see’s the massive benefit UAV’s can have. To date, COPTRZ has helped over 1000 businesses to access the benefits of drone technology, therefore providing cheaper, faster and safer operational capability. By providing you with a complete solution, through best-in-world drones (also known as UAVs), payloads, software, training and consultancy to deliver the best possible drone strategy for your organisation. Contact the COPTRZ team today on 0330 111 7177 or email info@coptrz.com to get started with your drone strategy.